The use of fancy colored diamonds in your engagement ring or high fashion jewelry makes for a piece that's unique and remarkable. If you're searching for the best yellow cultured diamonds in your budget, our Diamond Concierge team will curate a list of hand selected diamonds to your specifications from every diamond grower on earth. Our Concierge Team will help you select the best diamonds to make your bespoke jewelry a true work of art. The unique yellow colors in lab grown diamonds come from the presence of nitrogen introduced to the growth cell during the growth of the diamond crystal. The ratio of the trace elements (in this case, nitrogen) to the carbon in the diamond determines the saturation and tone of the fancy color. Just like colorless diamonds, yellow diamonds are graded on the 4 c's of cut, color, clarity and carat weight. Each diamond sold at Ada is hand evaluated before being shown to our clients. Fancy yellow diamonds vary in color saturation from a Fancy Light Yellow to a Fancy Vivid Yellow. Ada's Diamond Concierge Team will provide you with high-resolution images and videos of each diamond we curate for your consideration in a variety of lighting and settings so you can be confident that your diamond is the exact color you desire. From daily wear pieces to exceptional high jewelry, design a one of a kind piece of custom fine jewelry. Add a breathtaking pop of color to your engagement ring. Accent your engagement ring with a stunning matched set of yellow diamonds. 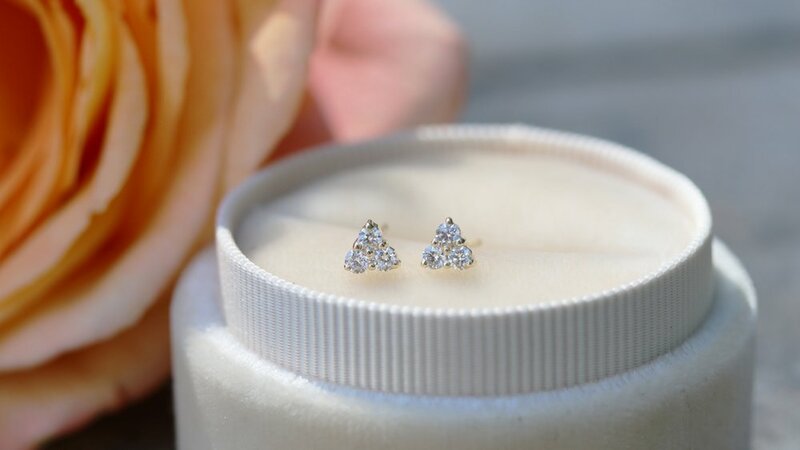 Browse our FAQs, or learn about how lab diamonds are priced compared to mined diamonds. All of Ada's bridal jewelry is fully bespoke and custom made-to-order in the United States. Your love is one-of-a-kind and your ring should be too. Shop our curated selection of exceptional, ready to ship lab grown diamond jewelry, delivered in as little as two days.